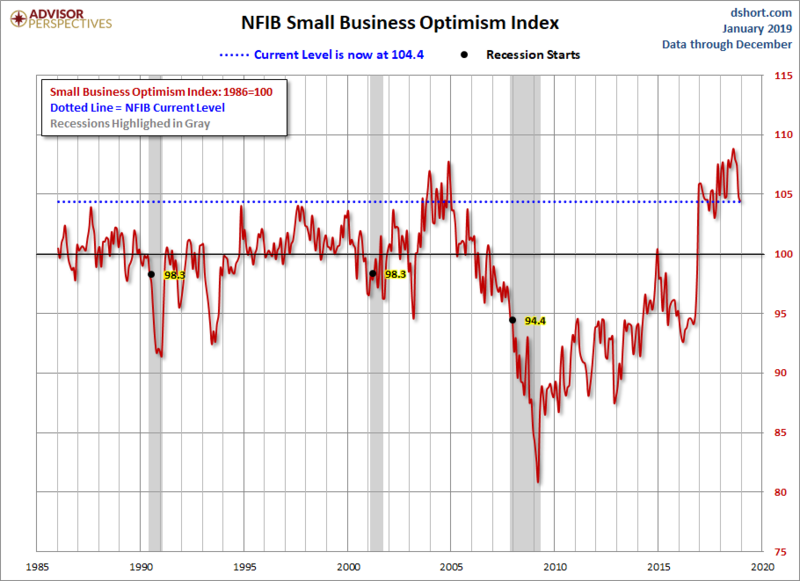 The latest issue of the NFIB Small Business Economic Trends came out this morning. The headline number for December came in at 104.4, down 0.4 from the previous month. The index is at the 92nd percentile in this series. 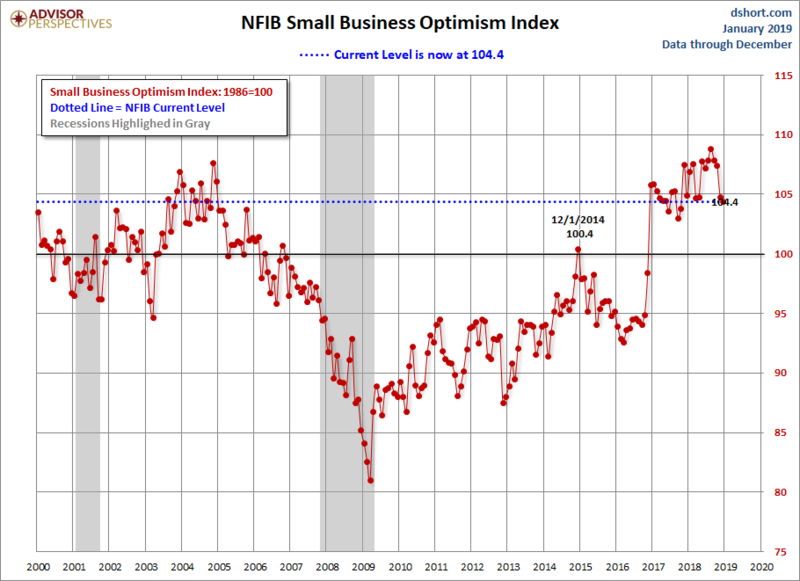 Today's number came in above the Investing.com forecast of 103.6.
he NFIB Small Business Optimism Index remained basically unchanged in December, drifting down 0.4 points to 104.4, according to the report released today. Unfilled jobs and the lack of qualified applicants continue to be a primary driver, with job openings setting a record high and job creation plans strengthening. Reports of higher worker compensation remained near record levels and inventory investment plans surged. Expected real sales growth and expected business conditions in the next six months, however, accounted for the modest decline in the Index.